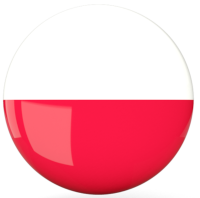 Polish is a Western Slavic language used primarily in Poland, which is the mother tongue of Poles. Polish is the official language of Poland, but Polish minorities also uses it in other countries. There are over 50 million Polish language users in the world, and it is one of the official languages ​​of the European Union. 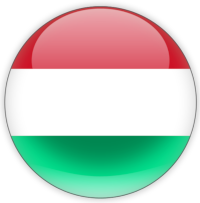 We often hear in Poland “Polak Węgier dwa bratanki”, but also in Hungarian (“Lengyel-magyar örök barát”), which is commonly referred to Poles’ and Hungarians’ friendship translated as “Poles and Hungarians are friends for ever”. The creation of the phrase is probably based on the fact that we have never fought against each other in the history, we have always helped each other, and we had also some common kings. Probably this is also the reason that in Poland there is a great demand of Hungarian language speakers, as the big companies loves working together with Hungarians. I guarantee the highest quality of translation and interpretation because now it has been 8 years I live in Poland and I finished the best university in Poland, the University of Warsaw, where I studied in Polish language. At Lingve, translations are always ready on time. *I accept the relevant rules using my personal information by the company of Lingve de Szabolcs Szilva, whose head office is located in ul. Smocza 16/101, 01-027 Warsaw, for processing the quotation and the order of translation. I have read the relevant rules on using my personal data. 1. The document for translation can be sent by e-mail or using the form below. 2. A photo or scanned document is enough for the quote request. 3. A text file may be the best in .doc format. 4. We will contact you within one business day.